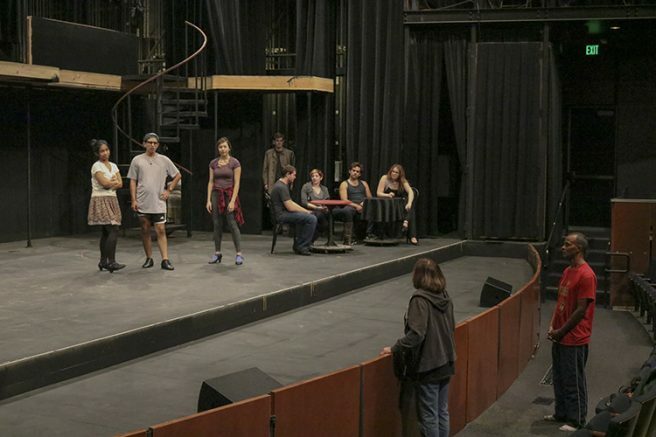 The American River College theater department will be directing “Cabaret” for the first time in nearly 30 years, starting Oct. 7. “Cabaret” is set in Berlin, Germany in the 1930s during the rise of the Nazi party and recognizes the powerful influence of demagoguery in the time Hitler ruled Germany. “I enjoy doing musicals that are darker, and Cabaret is that type of musical with a very different approach,” said Silva. “It’s like a ‘Road Warrior’ meets science fiction”. According to Silva, she chose this play largely because of its strong resemblance to the world we live in today. The original version of “Cabaret” presents what happened during the Holocaust but “doesn’t do it in an emotional way at all,” said play director Silva. “I think that there will be those intellectuals who will put the dots together and see the picture. But there will be people who are acting on emotional; they may not see the picture,” said Silva. While the play deals with the delicate nature of the Holocaust and pre-World War II Germany, the theme of the play is directed towards a more adult audience. “Its definitely rated R and not for children,” said Silva. The first showing of “Cabaret” will be on Friday, Oct. 7 at 8:00 p.m. in the ARC Theatre. The ticket prices are $12 for students, seniors and staff, and $15 for general visitors. Online ticket sales begin Oct. 1, at ARCTheatre.org. More information regarding the play can be found on the ARC website, under Calendar/Events. Be the first to comment on "‘Cabaret’ coming to ARC"